He is a big SpongeBob SquarePants fan, so she knew he'd be delighted with it. What she did not expect was how much she'd be delighted with it, because when the child opened it, his father (her brother) exclaimed excitedly, "Awww...they're number bros!" He was not trying to be funny -- he had not seen a hashtag before and had no idea what this meant (#livesunderarock). 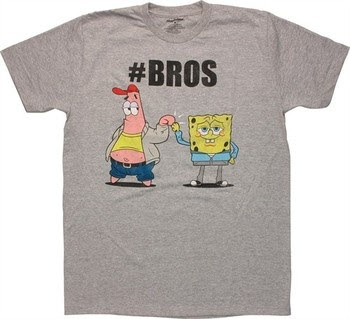 And also apparently thought that "number bros" was a thing (#confused).